Ohio Intelligent Technology Solutions | Right Solutions...Right Price! We will provide a custom Apple solution to fit every need. If you should have a issue we will be right there to fix it for you. Also ask about our custom Apple classes to fit any level of knowledge. 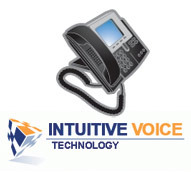 Phone systems today are limited to what the provider can offer you. With ITS PBX system you have the option to create any type of phone system you want. Auto attendant, voicemail to email, record your calls or simply have an office phone at your home office. It not IF but WHEN you will lose all your data. 60% of tape backups FAIL! 40% of tape recoveries FAIL! Over 80% don’t even backup! ITS has deployed a remote backup service that is very secure and easy to use. Don’t be a victim of data loss. Work from home or on the road. ITS can develop a secure and easy way for you to get to the information you need when you need it. Don’t pay high monthly fees for a very affordable solution. We have one of the areas most creatives and professional web developers. Our job is to listen to what you want and create a site that drives traffic. If you need Flash, HTML or e-Commerce site we can help. From 2 computers to a 1000 computers, we can provide you with all of your network needs, regardless of what platform you use. Need extra file storage? We can help with our Remote File Storage. This allows you to archive files on our secure servers. Point of sales systems should not be hard to use. With Xsilva’s Light Speed you have a easy to use system that gives you the option of syncing your online store to your brick and mortar store. ITS offers consulting for Apple, Windows & Linux. We will provide you with the best solution through experience, education and research. Apple, Windows, or Linux, we will design the best solution for you! Unlike most IT companies we are not tied down to a single technology. We have the power of all platforms or a mixture of platforms to find the best solution for you. Windows is still the leader in the world as the ultimate desktop operating system. We can design and build custom computers from simply Internet use or top of the line gaming systems.